Predictable endings are plaguing the creative world- books, movies and even songs. Everything seems to be going along a pattern, but I for one would love to see that pattern broken. It wasn't very long ago when I would be shocked by book and movie endings, but no more. Let's attempt to do better at keeping the reader or viewer guess, shall we? I won't lie and pretend that I never read anything other than wholesome books. 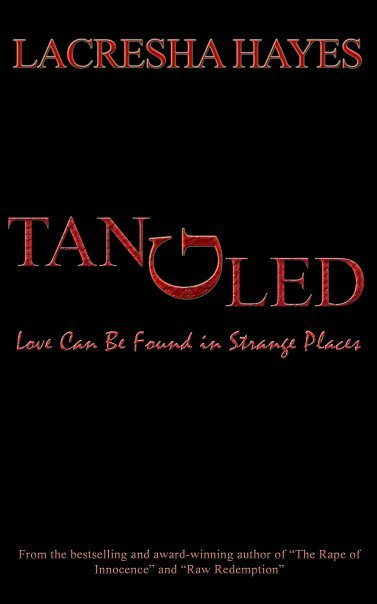 There is a lure to reading suspense, romance and paranormal books, at least for me. Still, I try to keep these kind of books to a minimum because I've found the more I read them, the more I want to read them. The term Christian is now being applied to all kinds of crud because the name Jesus or God is mentioned a few more than 2-3 times. Hogwash! I like when publishers and authors call their books just what they are and let me make up my own mind about whether I want it or not. Anyway, I said all of that to say that all next week I will be reading books by my Facebook friends. Some of them won't be Christian and thus when I post my review here, I'm going to be honest and fair, so the next couple of weeks may not show up too many Christian books. We'll see how it goes. The Matador Hotel died on July 5th, 1965, but they didn’t bother burying it until last fall. New Mexico heat blanketed Albuquerque that July like too many covers in a stuffy cabin. The kind of day that you sweat from the inside out and feel sticky dirt in places that you don’t ponder much except in the shower. I reckon that four-bladed overhead fan that squeaked like an unfed cat failed to console Shorty McGuire. 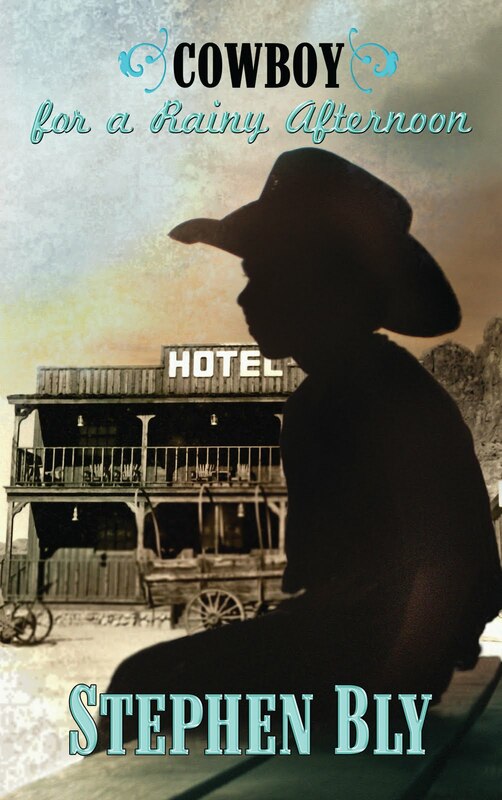 Doc Boyce said he passed on durin’ the night, but no one discerned it until they observed the empty back table at the Round-Up Café. For the last nineteen years of his life, Shorty lived in a second-floor room at The Matador. At straight up 6:00 a.m. ever’ mornin’ he ate two eggs fried hard under the faded picture of Theodore Roosevelt leading the Rough Riders up San Juan Hill. As a boy, I calculated that Shorty McGuire and the others must be pushing a hundred-years-old when I met them for the first time in 1954. I reckon I surmised wrong. The Albuquerque Herald reported that Hadley (Shorty) McGuire was only 86 when he died on that July day in 1965. The Herald is right most of the time. As the last of that bunch at the Matador, there was no one left to take his trapings, so Whip Johnson and me cleaned out Shorty’s goods a few days after his funeral. Whip managed the hotel in the 60s for his Uncle Durwood Johnson who gained some fame in the Southwest on the rodeo circuit after the war. He won the hotel on a bet on a black half-thoroughbred stallion down in Magdalena. The floor of Shorty’s little room with one four-pane slide-up window was carpeted solid with six to eight inches of newspapers, not a one newer than 1939. He claimed that cowboyin’ didn’t provide the time to read much, so he saved them for his retirement. I never did know if he got caught up. We didn’t have the nerve to give his tattered clothing to the Rescue Mission, so we chucked them into the hotel incinerator. We crated his boots, wooly chaps and battered Stetson, then donated them to the state museum. I had a notion they would want to display the gear of an old-time cowboy. But they stored them in a back room for a few years, then sold them at an auction to raise money for a modern art statue that looks like the scrap-iron pile out behind my barn. If I’d known they were selling Shorty’s belongings, I’d have bought those suckers myself and buried them, rather than let some car dealer in Denver drive off with ‘em. But that’s the way the past is. You can’t hang on to it all. What survives gets stolen by strangers who have no blasted idea of what they hold in their hands. The tobacco-stained furniture in Shorty’s room belonged to the hotel, but Whip decided to replace it all and re-carpet. So they moved in newer furniture, but I don’t think the room was ever repainted. Whip and me always thought that room smelled like Lordsburg, but that might be its location on the south side of the hotel, facing the Santa Fe tracks. I never went back to the hotel after that day. The hippies ran it in the early 70s, then some drug dealers. I think one of them big moving companies bought the place and used it for storage for a decade or two before they tore it down last year. All them red bricks got shipped to the west side for deluxe estate fencing around an upscale gated community. I hear they decided to build urban condos on the old hotel site for rich city folks, but I can’t figure what kind of people would want to live in downtown Albuquerque. At least, not nowadays. I still have Shorty’s rim-fire saddle hangin’ in my tack room. It was one of the first ones Estaban Chavez built, when he still had that shop behind the Chinese laundry in Las Cruces. Lots of folks have wanted to buy it over the years, but it doesn’t belong to me. Some day Shorty’s kin will show up wantin’ his things, and I’ll have it ready. I keep the leather oiled. Shorty died almost forty years ago, but I’ll hang onto it for him.That’s the way things are done around this part of the country. It’s one of the lessons I learned in the lobby of the Matador Hotel. So many authors fall through the cracks with great books because they have not yet decided what part of their message in each book is the strongest. Your book can't be about everything for everybody. It has to be about something specific to speak to a specific audience. Otherwise, it meets with a "blah, blah, blah" attitude from readers and no one will take you or your book seriously. I love reading from unknown authors but it takes more than a feature from me and a few other bloggers for someone to notice you and take you seriously. Marketing your book is marketing your message and that takes time and perseverance. From the inside out....That’s what you have to do - cleanse from the inside out. To spiritually cleanse is a renewing process that will give you a brand new life. It will give you enlightenment, satisfaction, and a new energy you never knew you had. You will be renewed, refreshed, and rejuvenated. Simply put, if you don’t cleanse yourself from the inside out, then you are setting yourself up for failure no matter what. The hidden shadows that you have locked deep away are still working their damage on the inside and that portrays itself on the outside. You will always sabotage your intentions without even realizing it. It’s called self-sabotage and thousands of people do it on a daily basis. I don’t care how good your intentions are, nothing will come of them because you will undoubtedly sabotage them. Period. The Bible says in Psalm 51:10, “Create in me a clean heart, O God; and renew a steadfast spirit within me.” See? Even God says if you don’t change the inside, the outside won’t change. If you’re constantly feeding yourself garbage, then garbage is what is going to come out. If you let your shadows’ faces (fear, resentment, jealousy, angry, rage, envy, etc.) constantly haunt you that is what is going to be portrayed in your actions. You need to identify the inner garbage that is hindering your life and you need to clean it up. It needs to be cleared out and thrown away for good for change to take effect. You have to put your pride aside, get your ego in check, and surrender your fears, your self-limiting beliefs, your self-centered will, and your “all about me” attitude. You can learn more about how to cleanse from the inside, determining what your shadows are, and transforming your path, in the author, Chrishawn E. Simpson’s book, Transform Your Path, which can be purchased at www.TransformYourPath.com. Transformation is a wonderful process and in this 16-chapter revolutionary book, you will get 21 exercises that will challenge you to your very core and make you face reality - which sometimes isn't pretty; but is very necessary for change to begin. Once you complete this guide, you will be strengthened, alive, and whole. You will be TRANSFORMED! Chrishawn Simpson is the founder of the revolutionary, life-changing program, Transform Your Path. She uses proven techniques to help you overcome your obstacles, tackle your shadows, and challenge your core beliefs, all for the sake of leading a life filled with purpose, passion, joy, and fulfillment. 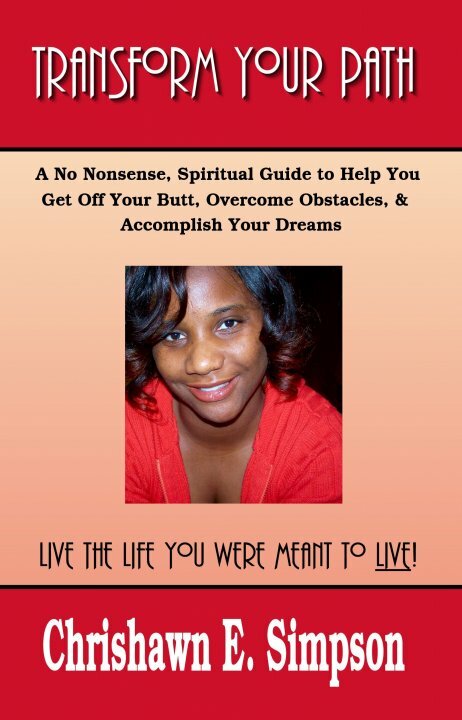 Check out her website at www.TransformYourPath.com for more information and to purchase the book. ELUSIVE WHISPERS, A DARK CLOSET, STRONG ARMS... DOES SHE EVEN WANT TO REMEMBER? Camille Weller has arrived as the first African-American attending in the trauma service of the Medical College of Virginia. Never mind that the locker rooms are labeled "doctors" and "nurses" rather than "men" and "women" or that her dark skin communicates "incapable" to many of her white male colleagues in the OR. Camille has battled prejudices her entire career, but those battles were small spats compared to what she faces now. When a colleague discovers a lump in her breast, she believes Dr. Camille Weller is the best doctor for her. Together, they decide on a course of treatment that bucks the established medical system, keeping Camille firmly in the cross-hairs of male surgeons already riddled with skepticism and suspicion. Her success as a surgeon is jeopardized further when dark whispers from her childhood in Africa plague Camille’s thoughts. 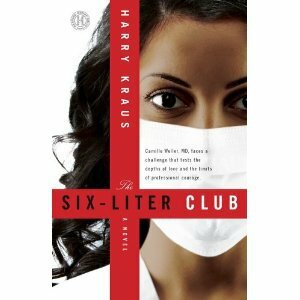 Bewildering panic attacks instill fear in a surgeon bent on maintaining the control, pace, and direction of her own life. Unable to shake the flashes of memory, Camille is forced to face a past she has not acknowledged since the death of her father on an African mission field. Who was he? Who was she? And why would either of those answers affect her present? Note from the author: the inspiration for this story came to me as I listened to a real life account of missionaries being martyred for their faith in Congo. 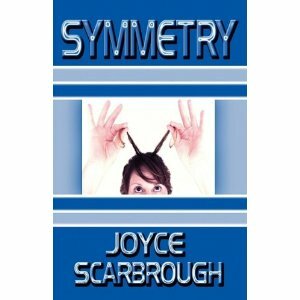 I decided to write this fictional account through the eyes of one of the children of the martyrs. My protagonist is the daughter of an American surgeon missionary and a Congolese native. I had the pleasure of meeting Chrishawn Simpson on Facebook a few months ago through an exclusive group we both participate in. From the day I met her until now, I haven't ceased to be amazed by her brilliance. 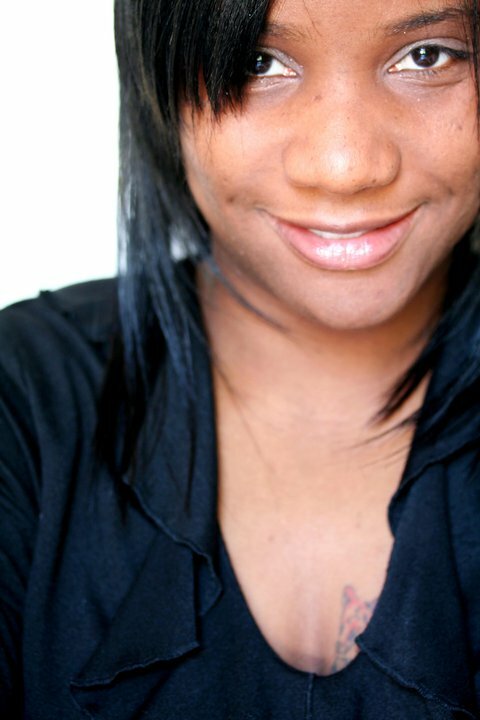 Chrishawn is the owner of several online businesses, an author, web designer and life coach. She is the visionary behind the Transform Your Path program, which coincidentally is the name of her latest book release. I was not surprised to learn that President Barack Obama's book sales had increased once becoming president. But, I was shocked to learn that they increased to the tune of $4 million in royalties last year alone. WOW! Congratulations, Mr. President! Authors, it is still possible to become a millionaire without writing 100 books. As a reader, I'm just one person with one voice concerning books, blogs, authors and their influence in the world. I believe in being honest, though, and I must say that even though last year saw us top and surpass one million books published, I am highly disappointed in quality. Where are the originals? When one thing sells well, everyone else writes their interpretation of it as if we readers are only topic prone. Well, we're not. We want variety, originality, and heart. For me, I want authors who are not afraid to be different, to be bold, to make a statement and help change the mindsets of others. I've never seen more authors than those who lurk around Facebook daily. But it doesn't help them to be there if they are not making full use of everything Facebook has to offer. For me, the reader, I have a wealth of info at my fingertips now because of FB. I can pop over to any author's page or profile and see what they are writing and take a peak at what others are saying about it before I buy. I recently met a great group of women and one comes to mind, Nichole Gibbons Osborn. She's a writer, blogger and soon-to-be author. I also had the pleasure to befriend Janet Chester Bly, an awesome writer, and to become closer to Joyce Sterling Scarbrough. Other great writers I've met there are Lee Ann Ward, Linda Kozar, Julie Malone, and Tricia Goyer. I'm making good use of Facebook, getting close to the authors I read everyday, and posting to further the kingdom of God. What could be better? What is Your Responsibility as an Author? As an author, what is your great responsibility? Some say to provide entertainment. If that is the case, you are missing the biggest picture. You are missing the point of the power of the wielding the pen. As a pen-wielder, your biggest responsibility should be social reform, education and then entertainment. A true author can master them all flawlessly. Those are the ones I love to read. I want a book that can make me cry, make me angry, make me smile and call me to action. Maybe I'm alone in this regard. What is an author? Someone who creates with words. Who is more creative with words than children? Encourage your child to write and be creative with their words. You never know, there may be a prodigy awaiting your encouragement. If they are artistic, support them with classes. Have you even fathomed what a good artist brings in today? Children can be authors and artists too!